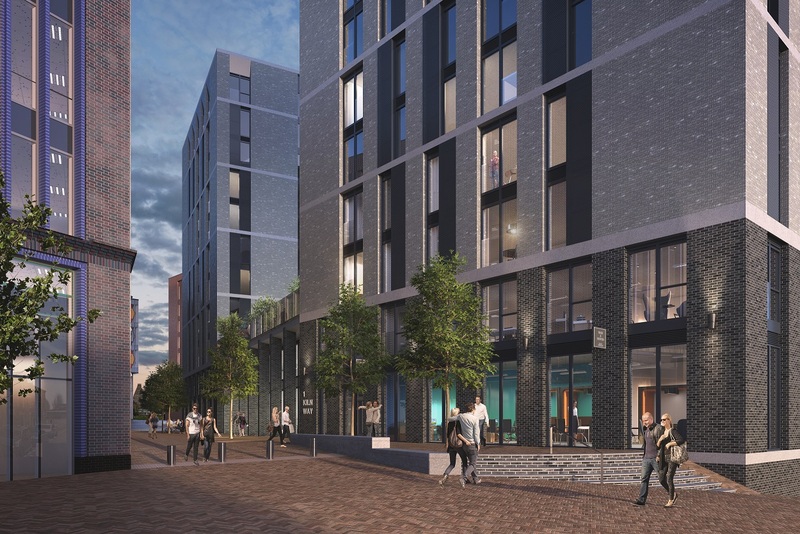 In case you missed the memo, Smithfield phase two will be bringing build-to-rent apartments to Stoke-on-Trent for the very first time, marking another step in the city’s transformation. But did you know that the residential scheme is being delivered by Genr8 and Fortior Homes, Stoke-on-Trent City Council’s very own housing arm? Fortior Homes came in to being in 2016 and had previously been working with Genr8 on the potential residential opportunity at Smithfield under a different guise. It was clear that Fortior had a key role in offering property to the housing market that was not being offered by anyone else, and Genr8 are market leaders in doing exactly that: providing high-quality accommodation that breaks the mould. So, it just made sense for us to commission Genr8 to take that next step with Smithfield. Genr8 had great success with phase one of Smithfield. How are you finding your working relationship with the developer in the delivery of the next phase? I find Genr8 really easy to work with, as they have the same goals and aspirations as us. It’s been a case of clear communication about an agreed product and quality standards within budget and on time. The supply chain and relationships have been great, as they have already delivered locally and “know the patch”, so to speak. It makes a lot of difference when the developer actually knows the area. Why do you feel that bringing BTR to Stoke-on-Trent is so crucial for the city? Stoke on Trent is difficult to read as an outsider, as its six towns and circular routes make it tricky to navigate. A lot of work has been done on establishing the city centre as exactly that – a city centre – and differentiating the area physically by installing new public realm and street furniture, supporting businesses and people. The housing offer is an integral part of that “creating a city centre” process – in terms of housing pathways and choice, but also the physical look and feel of the apartments. Build-to-rent is essential to any vibrant city offer and nobody else was prepared to deliver it. What’s been your favourite part about bringing the apartments to life, and what can renters expect from them? My actual favourite bit about bringing the scheme together has been every Saturday when my son goes to Hanley, and then getting his update when he comes home about how “my flats” are doing! My “work” favourite thing about the scheme has been seeing the drawings that I have seen in meetings and pored over for aeons becoming a reality. I love the spiral staircase and I can’t wait to see the planter/seating in the garden spaces when it is all finished. Renters can expect a home that gives them the choice of a high-octane city centre lifestyle, or a space to hide away and relax in whilst still being connected via all the latest technology. You won’t have to leave your apartment to report a repair, check your rent balance, benefit from the discounts at the local businesses in Piccadilly and so on. We’re helping you create “your life at your pace”. Obviously, Stoke-on-Trent is blossoming rapidly and is very much a city “on the up”. How important do you feel housing is in supporting and amplifying that? Absolutely crucial. Regeneration is about people and footfall. If there is no housing there will be no footfall or people! Lastly, what’s next for Fortior? Once Smithfield is done, the site on Lichfield Street finishes close behind and includes a small element of open market sale properties as well as build-to-rent. Looking forward to seeing the Smithfield apartments being unveiled later this year? Have any questions on the model, or maybe something else Smithfield-related? Tweet us @SmithfieldST1 with questions or feedback – we love hearing from you!